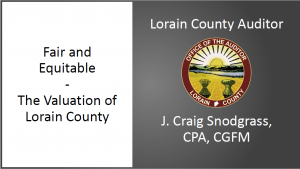 Lake Erie Landlord Association "A landlord resource for more than 30 years"
The Lake Erie Landlord Association, LELA, (founded in 1988), is a non-profit, educational organization providing a means for exchanging land-lording and real estate information. We strive to educate, inform, exchange ideas and improve the status, as well as the financial well being of all housing providers. Our members are known locally as landlords that work to improve the condition of housing for everyone. The monthly meeting programs consist of prominent speakers in areas of general interest to landlords, property managers and real estate investors. We also provide a platform for open forums to discuss issues our members are facing in the field, and tons of networking opportunities. Monthly meetings are held on the first Tuesday of every month at 7:00 PM. We meet at Miraldi Hall @ Heritage Presbyterian Church, 515 Leavitt Rd Amherst, OH 44001. C Thru Windows LLC was created to serve the Cleveland area by providing an economical window that is also of good quality. Created in late 2008 the founder, a professional with decades of experience in the window field, focused on creating a purchasing, warehousing and distribution system that was simple for its clients to use, as well as inexpensive. This allows for C Thru Windows LLC to have extremely competitive pricing, excellent quality products, and superb customer service. C Thru Windows LLC is a Retail and Wholesale Distributor of Vinyl Replacement Windows & Patio Doors catering to Home Owners, Contractors, Home Improvement Professionals, Realty Companies, and Real Estate Investors in the Northeast Ohio and surrounding areas. We carry high quality, high energy efficiency products that are affordable, dependable, and great looking. Our company philosophy is not just to provide your company with product, but to become a vendor and friend you can rely on and trust. Looking to run some numbers on your property? 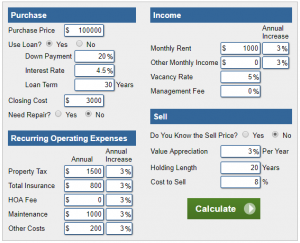 Try this Rental Property Calculator out. Clicking on image will open calculator in another browser tab. LELA Members can now access an important 2018 Property Reappraisal presentation from a recent LELA meeting. Just click on the image below to access it from the Member Form Page. NOT A LELA MEMBER YET? Click here to see the benefits. 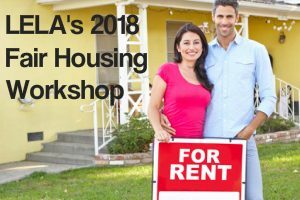 LELA Members can now access an important 2018 Fair Housing Workshop from a recent LELA meeting. Just click on the image below to access it from the Member Form Page. Getting our grub on!! I mean education!!! This is what has been our Vendor D&D for the past two months. Here because of popular demand, we are offering an evening Workshop!! Come network and get marketing tips from Director Vassie Scott and your peers!! Not just limited to Vendors, we have had regular members attend too! Come network with us!! Hear Real Estate Investment success stories right from the Veterans and Newbies in our business! Learn why Andrew Ziebro says Air Bnb is the best type of REI to be in!